Denny Jump (Bellevue, WA, United States) on 16 December 2011 in Abstract & Conceptual. These little red spots are beautiful. Reflection of a tree? Beautiful game with lights . Fantastic, Denny - love this one! 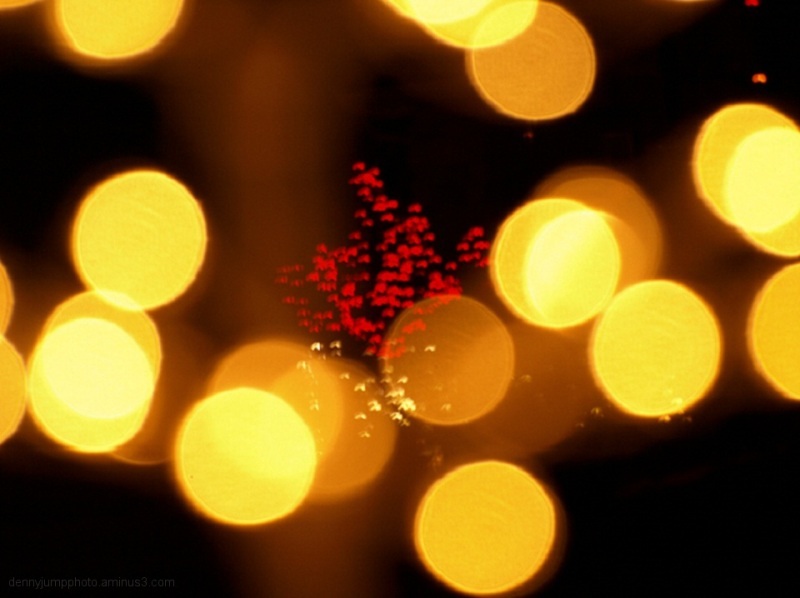 Fantastic use of the bokeh Denny! Love the layers of light, a festive light shot! Wow Denny, you're really showing your artistic side. Another super-impressive shot. Well done! love those golden spheres, denny ... wonderful festive atmosphere! So pretty ... I haven't forgotten you ... I love your recent posts, just haven't had time to leave comments. Another beautiful abstract with a lot of great warmth! Wow Denny! I like this one too! Just beautiful! A wonderful abstract, Denny. I don't think the focus point matters all that much in this case. Nice oops Denny. Warm & colourful for the season. Great joy in this. Love the off focus... I'm sure it is intentional! Whether you know it or not. There is no oops, though :) ... it ended up in a nice visual result. Excellent, Denny. Love these abstracts.